Dr. Sandra Carollo is a Clinical Associate Professor in the College of Nursing. 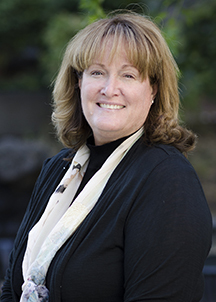 She has served on the faculty of Washington State University College of Nursing since 2003. 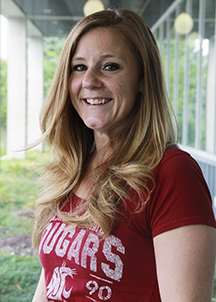 Her teaching assignments have been broad encompassing undergraduate, RN to BSN, Masters and DNP education. In addition to teaching and advising, Sandra serves as the Family Nurse Practitioner Clinical Track Coordinator, and fulfills the role of Yakima Campus Director. She has more than 30 years nursing experience, and more than 15 years’ experience as a Family Nurse Practitioner. As an advanced practice clinician, she has experience in primary and subspecialty care to individuals and families across the lifespan. Dr. Carollo’s research has focused on effective communication in the healthcare setting with an emphasis on health literacy. Additional areas of interest and research include Interprofessional Education, and Global Healthcare. Carollo, S. & Hahn, L. (2015). Global Healthcare Team Preparation. Poster presentation. Global Health & Innovation Conference, Yale University New Haven, CT , April 16-17, 2016. Carollo, S., Schwartz, C. & Brinker, D. (2015). Maintaining Professional Competence: Continuing Professional Development and Patient Centered Outcomes. Podium presentation. 35th Annual Research & Education Conference, Dublin Ireland, March 2-3, 2016. Carollo, S., Stewart, A., & Ferguson, D. (2015). Transforming healthcare: An interprofessional approach. Podium presentation at Future of Healthcare in Washington Conference, Renton, Washington, June 17, 2015. Carollo, S., Stewart, A., & Ferguson, D. (2015). Collaboration: Transition from multiprofessional to interprofessional healthcare delivery. Podium presentation at Washington State Radiographer Technologist Convention, Yakima, Washington, April 16-18, 2015. Carollo, S. & Mason, A. (April 2015). Educating nurse practitioners: Developing competency based curriculum, and bridging programs for shared learning opportunities. Poster presentation at the 41st Annual National Organization for Nurse Practitioner Faculty conference, Baltimore, Maryland. Carollo, S., Schwartz, C. & Brinker, D. (April 2015). Preparing interprofessional student teams in global healthcare engagement. Poster presentation to the 48th Annual Western Institute of Nursing conference, Albuquerque, New Mexico. Carollo, S. (2015). Low health literacy in older women: The influence of patient-clinician relationships. Geriatric Nursing 36(2), S38-42. Carollo, S. (April 2014). Addressing Nursing Leadership. Keynote Speaker-Sigma Theta Tau Induction Yakima, WA. Carollo, S. (April 2014). The Pedagogy of Health Literacy: Requisite for Advanced Practice Nursing. Poster presentation. The 40th Annual National Organization for Nurse Practitioner Faculty conference, Denver, Colorado. Carollo, S. & Stewart, A. (2014). Yakima Valley Interprofessional Education Center of Excellence [white paper]. Carollo, S. (October 2013). Impacting Health Literacy: The Patient-Clinician Relationship as a Critical Influence. Poster presentation. The 36th Annual Advanced Practice in Primary and Acute Care Conference, Seattle, Washington. Carollo, S. (2012). Beyond dialogue: The nexus of active listening and servant-leadership: A pivotal point for pedagogy. AUDEM -The International Journal of Higher Education and Democracy. Currently in print 2(1). Carollo, S. (March, 2012). Improving Health Literacy through Servant-Leadership. Podium presentation. Seattle University/Gonzaga University Leadership Conference “Leadership in Uncertain Times”, Spokane, Washington.